In 1971, a Forest Hills man died while waiting over 2 hours for an ambulance to arrive. This event triggered a group of Forest Hills residents who were concerned by the long response times of New York City municipal ambulances, to organize a volunteer ambulance corps to better serve their community. The first headquarters of the FHVAC was located at 102-23 Metropolitan Avenue. It was in the storefront of the local Democratic Club. Anne Barbasso, was appointed as FHVACs first president. Annes sister, Jackie, designed the green and white circle patch which still remains as the official logo and patch of the FHVAC. In 1972, the first year of service, the Forest Hills Volunteer Ambulance Corps (or FHVAC) responded to 43 calls for assistance. By 1973, the number had climbed to 275, 408 in 1974, 528 in 1975, and 724 in 1976. 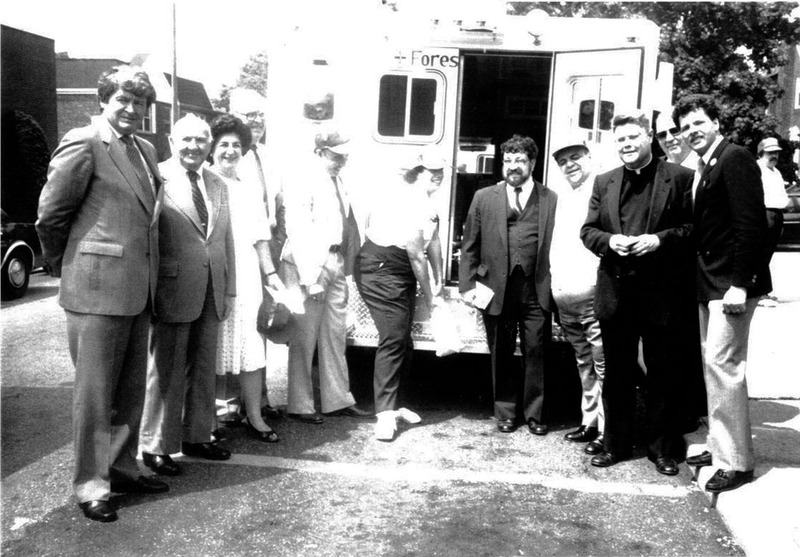 In addition to providing free emergency care and transportation, the FHVAC also provided non-emergency medical transports to and from hospitals and health facilities, taught first aid and cardiopulmonary resuscitation (CPR) to the community, and loaned wheelchairs, walkers, and other medical supplies to those who needed them. Over the years the ambulance corps has covered many community events, including the United States Open at the West Side Tennis Club (prior to its moving to Flushing Meadows), and concerts featuring such well known entertainers as Linda Ronstadt, Olivia Newton John, and the Eurhythmics. Today the FHVAC continues to cover community events including the New York City Marathon, the Five Borough Bike Tour, the annual Night Out Against Crime, and local street fairs and special events. 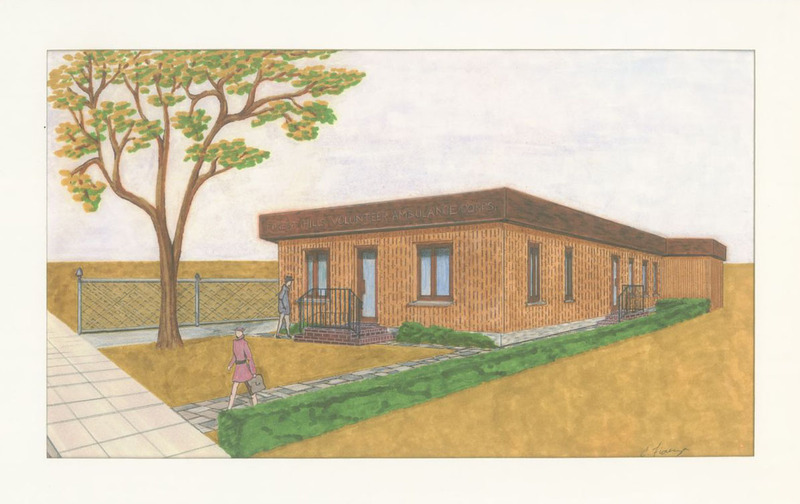 On September 17, 1989 the FHVAC broke ground on its current location at 92-29 Metropolitan Avenue, with the help of FHVAC President Judy Elliot and her husband, Dave, who was the corps attorney at the time. FHVAC continued to grow, and expanded its service into Rego Park. From time to time, the FHVAC experienced decreases in membership and fund raising revenues, which resulted in a decision to participate in third party billing of patients insurance companies and has since been largely responsible for keeping FHVAC financially secure. On September 11, 2001, the FHVAC responded to the terrorist attack upon the World Trade Center along with many other courageous first responders. The crew on duty that morning, Joseph Reardon and Anthony Logozzo, were among the first volunteer ambulance corps to arrive at the World Trade Center. Sadly, the collapse of the Twin Towers resulted in the death of 2,819 people, including one of our own members, Richard Allen Pearlman who selflessly responded on his own. Our ambulance FH1 was destroyed in the tragedy. That day members commandeered a city bus, and traveled to the site of the attacks with extra medical equipment and supplies. One month later, a memorial service was held for Richard at the Howard Beach Judea Center on October 28, 2001, which was attended by numerous members of the FHVAC and other volunteer ambulance corps. On December 16, 2001, the FHVAC dedicated two new ambulances in memory of Richard Pearlman, whose remains were found at Ground Zero on March 28, 2002. In 2009 a wall was also dedicated to his name. The FHVAC will always remember Richie, and we rededicated ourselves to serve the community in his memory, and the memory of all those who perished that tragic day. In September 2009 our headquarters on Metropolitan Avenue was dedicated to our past FHVAC President, Captain, and Treasurer Judy Elliot. The building was named The Judy Elliot Building, in her memory.